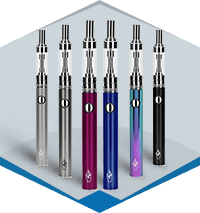 Whether you’re an experienced or avid user of e-cigs, there’s a good chance that you’ve heard of Halo E-Cigarette. The Halo brand has been making e-cigs for quite some time, and one of the most iconic aspects for the company is the fact that all of their products are made right here in the United States. That might not sound like a huge deal, but when compared to most other brands that simply import their e-juices from China and other countries, Halo has a big upper-hand when it comes to quality control. Better quality control means you get better juice for your vape, resulting in a better experience overall. Halo has created a ton of different vapes and e-cigs over the years though, and while all of them are fantastic, deciding which one is for you can be a bit of a challenge. In this article, I’m going through my top 9 reviews for Halo E-Cig vapes to help you decide which is your best fit. My top 9 picks can be found below, and I ranked them by head coil capacity, battery size, and price. Additionally, their overall score can be found as well. The Triton II Starter Kit is the first vape that I want to talk about, and I honestly think that it is best that I kick-start this article with a quick Halo Triton 2 review. The overall design is quite small and compact, and although it isn’t the shortest vape around, it’s still perfectly fine and small enough for carrying around in your pocket. This is a vape that’s most likely going to be best suited for folks who are just starting out with vaping or who have been doing it for a few months and are looking for a decent upgrade. The battery capacity of this unit ranges from 700 - 900 mAh depending on the model that you choose, and Halo has also made it available in eight different colors to choose from. In regards to tank size, we’re looking at a unit that comes equipped with a 2-milliliter tank. In addition to the decent capacity though, the Triton II’s tank also does an excellent job at providing for fantastic air-flow. This air-flow further increases the amount of flavor and vape you’re going to be able to get from you device, creating for an overall better experience. The base model Starter Kit comes with a coil of 0.75ohm, but if you want to adjust your resistance levels, you can also get coils with ratings of 1.2 and 1.5ohms. It features a price of just $45, making it five more dollars than what the original Triton cost. 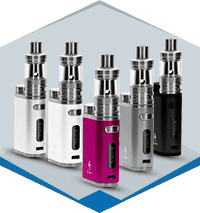 However, the improvements that the Triton II brings across the board are well worth that $5 premium, as it is simply one of the best vapes for beginners that exists. There’s no doubt that the Triton II Starter Kit is an excellent purchase for those who are just getting started in the world of vaping, but if you’ve been doing it for some time and want something with a bit more power and flavor, read through this Halo Tracer Twist review, 'cause it might be right up your alley. The body is made up out of 304 stainless steel and borosilicate glass, creating for a vape that not only looks fantastic, but is also incredibly durable and resistant against normal wear and tear. A 2,300 mAh battery powers it, allowing you to go for a considerably longer time period without having to charge it as compared to the Triton II. A 4-milliliter tank is also present here, and the wattage output of it ranges from 5-30-watts. Couple all of this with a 0.5ohm singular head coil that’s able to kick out huge clouds of vape, and you’re looking at one of the most powerful vapes that money can buy. The only real downside about the Tracer Twist has to do with refilling the tank when you run low on fluid. The process should be fairly simple for more experience users, but if you’re a beginner, you’ll likely want to stick with something along the lines of the Triton II. .There are also only four colors to choose from, but with all of the available options looking incredibly nice, I don’t feel like this will be a serious issue for any users out there. The Tracer Twist certainly is more powerful than the Triton II, but lets say that you want even more power than what the TWIST has to offer. Let’s say that you want something that will be able to kick off some of the biggest clouds possible. If that’s something you’re looking for, then my Halo Reactor Mega review has you covered. The Reactor Mega features a huge 5,000 mAh battery with 1-80W of power, and all of that wattage and capacity is absolutely necessary to power the massive 5-milliliter tank. That tank is home to a 0.15ohm Ni200 coil, and if you want to add even more power to this already impressive setup, you can choose to swap that out for either a 0.25 or 0.5ohm coil. Sub-ohming is absolutely phenomenal on this one, and it easily kicks off the biggest clouds that you’re going to find with any of Halo’s different products. This is certainly something that more experienced users will flock to, as the higher cost and complex process for refilling the tank will both likely be turn-offs for people who are just getting started. There’s no doubt from my Halo Reactor reviews above that the Reactor Mega is an incredibly powerful vape, but it’s also one of the biggest options on this list in regards to physical size. If you want a lot of that power but in a much more compact form factor, you might want to look at something along the lines of the Reactor Mini. Reactor Mini is essentially a smaller version of the Mega, and while it definitely is a lot smaller and easier to handle than the latter, there’s still a great deal of power packed into this thing. 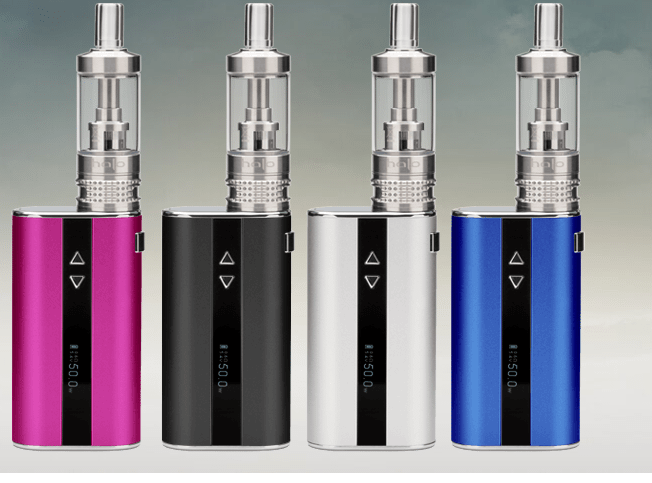 Its starter kit features a considerably large 2,600 mAh battery with a wattage rate of 1-40W, and the dual 0.25 coil head allows for impressive clouds for a vape of this size. One of the biggest downsides, which I feel obligated to cover in my Halo Reactor Mini review, is its tank size, as it clocks in at just 2-milliliters. Aside from that though, this is a pretty impressive package. The flavor that it kicks out is incredibly strong, the clouds are big, and the size is small. Combine this with a rather affordable price tag, and you’re looking at a pretty unbeatable package if you’re in the market for a small, yet powerful vape. This really is a standout choice when looking through this entire Halo electronic cigarette review. Continuing with this line, it’s time to take a look at the Reactor Shorty. It is available in six unique colors, and while the power levels here are a bit lower than some of the other options on this list, it really is a phenomenal vape and one of the best that money can buy. In regards to the Reactor Shorty, one of my favorite features is - without a doubt - the absolutely gigantic 2000 mAh battery that Halo was able to cram into the thing. That battery capacity means that you’ll be able to use it for an incredibly long time without having to worry about charging it. That battery offers a wattage rate of 1-75W, and the tank can hold up to 2-milliliters of fluid. That tank capacity certainly is a bit on the lower end of things, but thanks to the SHORTY’s top-fill design, refilling the vape is noticeably easier when compared to the MINI and MEGA. While refilling those vapes gets easier the longer you use it, the added convenience that the SHORTY brings makes using it on a daily basis that much more enjoyable. Moving over to the actual power that the SHORTY has to offer, it’s packing in a 0.25ohm dual coil design with an Ni200 head. This head is then wrapped up in organic cotton, and this design allows you to get a truly phenomenal sub-ohm experience. That’s certainly enough to make it a worthy buy, but Halo took things a step further with this one. The SHORTY also comes equipped with a ton of unique features, including temperate control and adjustable power. Along with this, it also comes with something called a “bypass mode.” This bypass mode allows you to use the vape while it’s plugged in and charging, meaning that a low battery won’t even prevent you from vaping on this little guy. Its price certainly is a bit high, but the additional features it brings to the table far outweighs that slightly higher cost. There isn’t a doubt in my mind that the Reactor Shorty is a phenomenal mod, but I can also understand that some people may not be a fan of its somewhat chunky design. It certainly is a powerful vape, but its overall look won’t be winning it any fashion awards any time soon. That’s where the Tracer Starter Kit comes into play. The overall design of the Tracer Starter Kit is simply gorgeous, with a thing aluminum casing that should fit into any pocket with ease. However, in addition to the sleek design, the Tracer Starter Kit also packs in quite a heavy punch. A 2,600 mAh battery lives inside of the Tracer Starter Kit, and based off of my testing with the vape, I was able to determine that one single charge with the Tracer allowed me to get between 2.5 to 3 total hours of vaping. The tank size comes in at 3.5-milliliters, making it quite a bit larger than the past couple options that we’ve looked at. And, if you want to create some thick and powerful clouds, the 0.5ohm head with a dual-coil design shouldn’t let you down at all. Perhaps one of the best parts about the Tracer Starter Kit is just how easy it is to use. This particular vape features one single firing button, and adjusting your airflow is incredibly easy thanks to the 4-port design that’s featured here in my Halo Tracer review well. All of this comes in a package that’s quite a bit cheaper than options like the REACTOR SHORTY, making the Tracer Starter Kit an excellent choice if you want a solid sub-ohm experience without spending a ton of cash. The Tracer Starter Kit is a great choice, but if you’re okay with handing over a few more dollars for your next vape, the Reactor Starter Kit makes for a great purchase. The Reactor is essentially a bigger and more powerful version of the Tracer, and while the design may not be as slim or trim, the added power more than makes up for the slightly bulkier build. 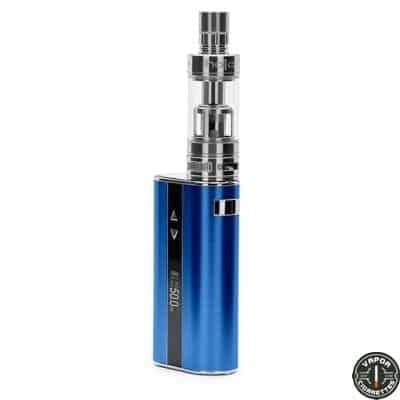 A 4,400 mAh battery and adjustable wattage of up to 50W keeps the Reactor Starter Kit powered, and a large 5-milliliter tank should keep your mod filled up with juice for quite a bit longer than most of the other options on this list. Combine all of this with a big and bright LED display for viewing your various stats and settings, and you’re looking at a well-rounded package. Aside from those few changes, the Reactor Starter Kit offers the same general experience that you’re going to find with the Tracer. The large tank capacity and more powerful internals mean that you’ll be able to store more fluid and get bigger clouds from the Reactor, and if those things matter to you, the added $10 in cost is more than worth it. The only real downside for the Reactor Starter Kit has to do with the fluid container, as it can sometime be quite a bit difficult to pen up. This is something that you’ll probably grow used to over time, and while it isn’t a deal-beaker by any means, it’s still something that’s worth keeping in mind. 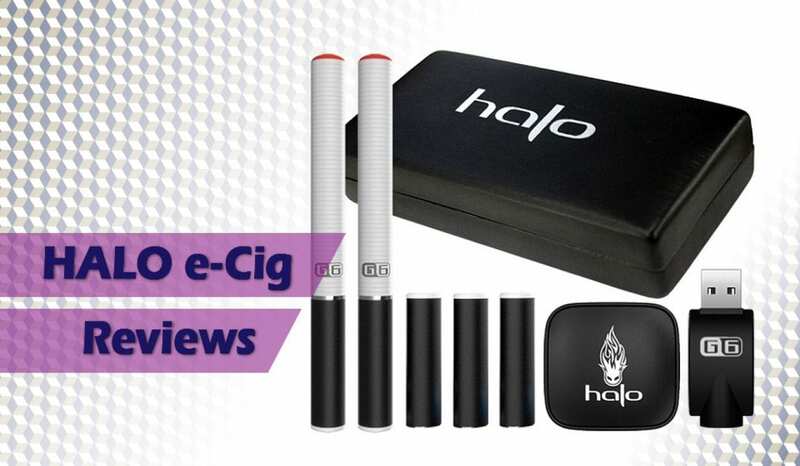 The Halo G6 review is a little bit different since this E-Cigarette Starter Kit is one of the few products that actually features the Halo name with the product. And the G6 Starter Kit is definitely one of the cheapest options that’s available on this list. 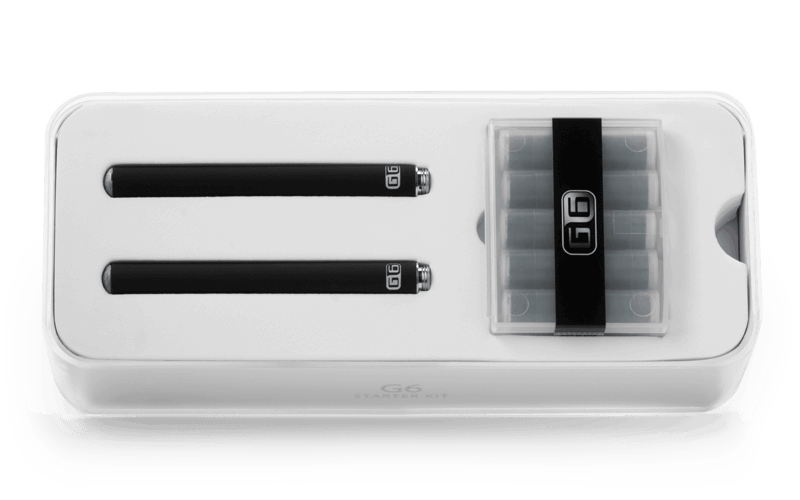 Halo’s G6 Starter Kit comes with a lot of included goodies, such as two separate batteries, five total customizers for getting the best possible vaping experience, and a single USB charger for topping up the battery on the G6 when it does eventually run out. Top this all of with a wall adapter for the charger and a Halo-branded case, and you’re looking at a pretty solid offering for under $40. The G6 is definitely one of the less powerful vapes that’s present on this list, but there’s quite a bit of choice involved if you do decided to order this kit. Halo allows you to choose the actual color and size of the batteries that you get with the G6, in addition to what flavor liquid you’d like to come out of the box as well. Refillable tanks are included here as well, and this sort of harkens back to the Triton System that I previously went over. All of this creates for a nice package, but if you’re willing to shell out an additional five bucks for the last item on my list, I personally think you’ll be a lot happier in the long run. 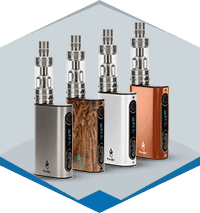 The final product on this list of Halo E-Cig reviews is the Halo Triton I Kit, and it’s seriously one of the best e-cig starter kits that you’re going to find. Halo has been marketing the heck out of the Triton I Kit, and for good reason. This little setup is their current gem, but just why is that? For just an extra $5, the Halo Triton I Kit is easily worth the extra money. 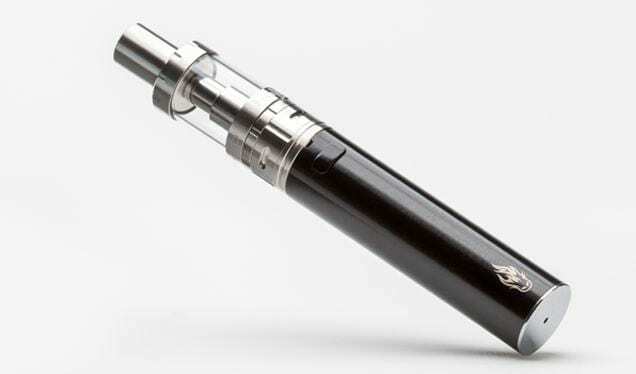 It’s one of the best deals in the e-cig market, and is considered by a lot of people to be the best e-cig. Period. You can read the full review here. There you have it! Those are my Halo E-Cig reviews of the 9 best Halo vapes and e-cigs that are currently on the market. Whether you’re a beginner or have been vaping for quite some time, there really is something for everyone on this list. 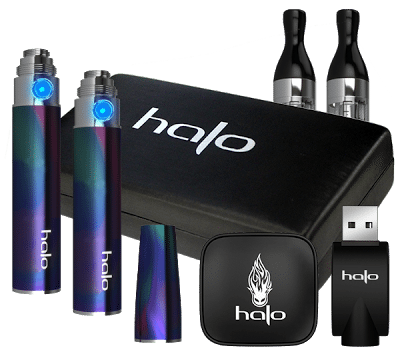 Halo is the premier brand when it comes to vapes, and after reading through Halo Reactor review and reviewing all other products, I think it’s pretty clear as to why that is. These e cigarette kits are pretty quality vape kits. I have tried many of them and they stand out. Triton II is now quite popular – its a small sub ohm device and looks and feels great. 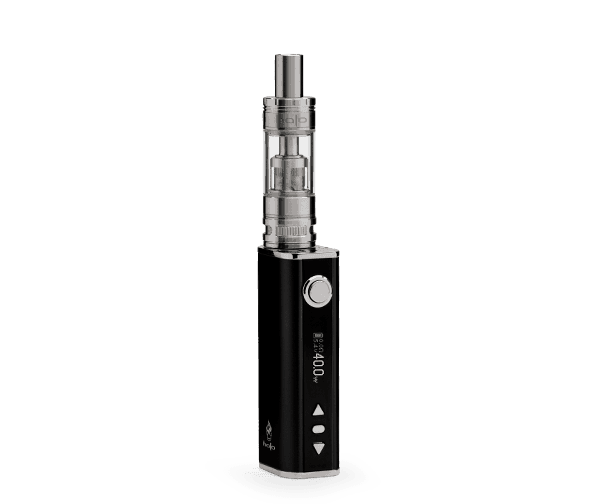 Other kits included the mods are really powerful and create a lot of vapour. Highly recommended ecigarette for any one looking for a good kit. Cant go wrong with any of the above kits. I’ve used the Triton for a couple of years and then moved up to the Tracer. I got both in the kits and have been nothing but happy with them both. I’ve also been very pleased with the quality of their e-juice. I often call and place my orders over the phone because of how friendly and knowledgeable their staff is. They are a joy to work with and my orders always arrive quickly. I highly recommend this company and their products.